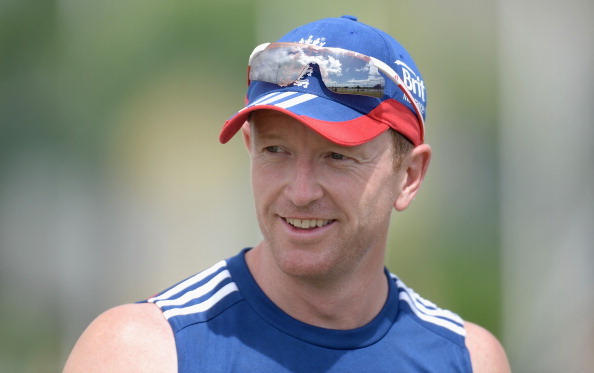 Former England Captain Paul Collingwood, who is currently a member of the England coaching staff in the tour of West Indies, made a dramatic return to international cricket when he was named as the 12th man for the first one-day international of the series in Antigua; the bizarre move had to happen as England were running short of substitutes to assign the 12th man role as a result of a slew of injuries to their players. As per the ICC regulations, the 12th man is supposed to wear an unnamed shirt. Since England don’t have any of those, Colly was forced to borrow a shirt from one of England’s supporters. The 37-year-old who is known for his amazing fielding skills would not be a bad choice after all if the need arises for England to use his services for the match.